Our department is committed to promoting positive attitudes to language learning and other cultures. Currently we teach French and German as well as providing an experience of learning Mandarin to S1 and S2 classes. From 2016 a new Wider Achievements class will give pupils the opportunity to achieve the Language for Life and Work award in Mandarin. To achieve this, the four skills of talking, listening, reading and writing are integrated throughout our courses. We develop these skills through a wide range of activities. We have a bright and enhanced learning environment with a new state of the art multimedia language hub. Pupils are challenged to absorb knowledge, be creative and communicate effectively. Running throughout all our work is the development of the skills for success – thinking, personal, interpersonal and communication skills – lifelong tools in how to get along and achieve your goals. We foster high and realistic expectations of our students equipping them with the skills to take their place in a globalized society. We aim to give our pupils as many opportunities and experiences as possible to immerse themselves in Modern Languages. We have links with schools in France, Austria and Germany. Students have the opportunity to converse with our native speaking language assistants including a mandarin native speaker volunteering for a year from China. Each year S3 pupils are invited to take part in a European meal at a local restaurant, allowing them to experience some delicious food whilst putting into practice what they have been learning in class. Our S2 pupils enjoy a “food tasting” lunch session as part of their unit on eating out. As often as possible, we take the opportunity to go and see foreign language films at Eden Court. Along with the History department we have offered a senior pupil trip to Berlin. We have links with our twin town in Vienenberg and have established an exchange visit programme. The Consulate General of the Federal Republic of Germany awards a prize to the top senior pupil, who has achieved excellence in German. 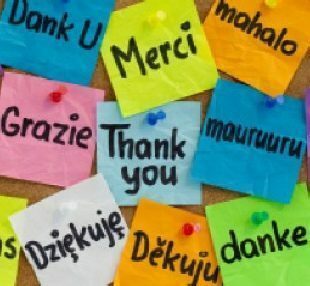 We hope that every pupil finds learning a language at Forres Academy a happy, successful and rewarding experience.